Women are likely to be proactive in matters affecting their health, appearance and self-image. Good nutrition, regular exercise, regularly scheduled personal and professional physical examinations and knowledge of her own body are all part of a woman’s unwillingness to accept preventable or treatable shortcomings of health and appearance. For all women losing hair is disheartening; particularly so for women who throughout their life have been proactive about their appearance and self-image. Although hair loss tends to be regarded by the public as something that primarily happens to men, it occurs in many women 50-60 years of age. Loss of hair does not occur only in older (post-menopausal) women: it occurs with a relatively high frequency in women who are pre-menopausal. Sometimes women in their 20s and 30s face hair loss issues. A woman, who notices the beginnings of hair loss, may not be sure if the loss is going to be temporary or permanent. Events such as pregnancy or illness are associated with temporary hair thinning. Female hair loss so far, is not considered to be an inherited trait. Women tend to have less obvious patterns of hair loss than men, and non-pattern types of hair loss are more frequent in women than in men. Additionally, hair loss may not occur in a recognisable “female-pattern alopecia” of diffuse thinning over the top of the scalp. If you are a woman with adequate hair loss, you should seek professional advice from a physician or hair restoration specialist. 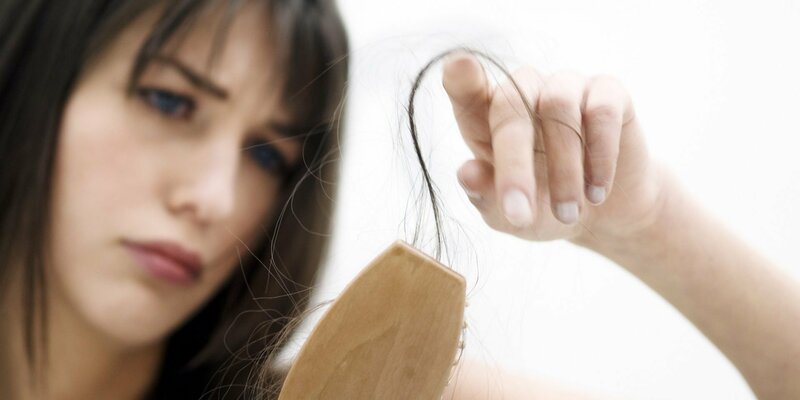 In most cases, female hair loss can be effectively treated: self diagnosis is not recommended. It is important to note that female pattern hair loss can begin as early as the late teens to early 20s in women who have experienced early puberty. If left untreated, this hair loss associated with early puberty can progress to more advanced hair loss in the future. In women as in men, the most likely cause of scalp hair loss is androgenetic alopecia – an inherited sensitivity to the effects of androgens (male hormones) on scalp hair follicles. However, women with hair loss due to this cause usually do not develop true baldness in the patterns that occur in men; women rarely develop the “cueball” appearance often seen in male-pattern androgenetic alopecia. Patterns of female androgenetic alopecia can vary considerably in appearance. In women as in men, the most likely cause of scalp hair loss is androgenetic alopecia – an inherited sensitivity to the effects of androgens (male hormones) on scalp hair follicles. However, women with hair loss due to this cause usually do not develop true baldness in the patterns that occur in men; women rarely develop the “cueball” appearance often seen in male-pattern androgenetic alopecia. Patterns of female androgenetic alopecia can vary considerably in appearance. Diffuse thinning over the entire scalp, with more noticeable thinning toward the front of the scalp but not involving the hairline. Over the last three years, hundred of women referred to DHI Medical Group for medical advice concerning female alopecia. DHI Medical Group has launched a very sophisticated Unique Diagnostic System for Alopecia, and DHI Total Care System for the life lasting treatment of your hair loss.